Highland Mountain Bike Park and MTBVT are at it again in 2018! 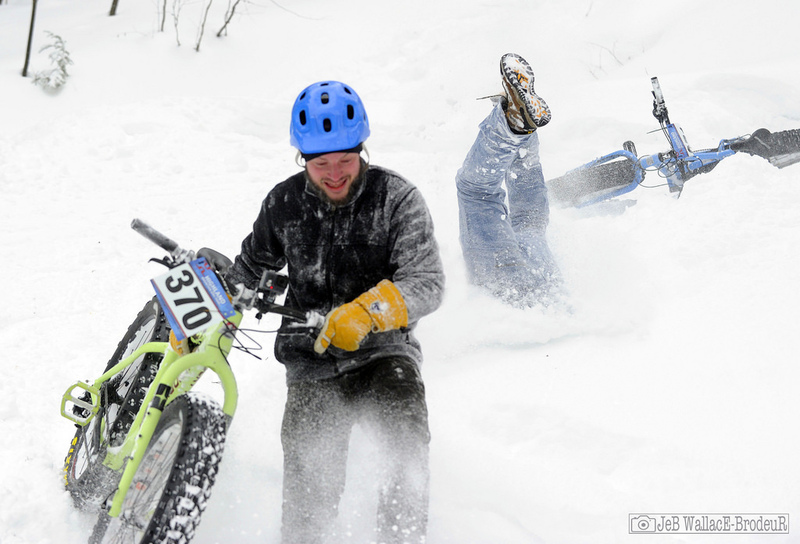 Join us February 10th–11th and make history at the second annual Winter Woolly Downhill Fat Bike Fest. The team has cooked up a number of improvements over last year’s event. First and foremost, the Winter Woolly will be extended to two days on the cold rolled slopes for 2018. 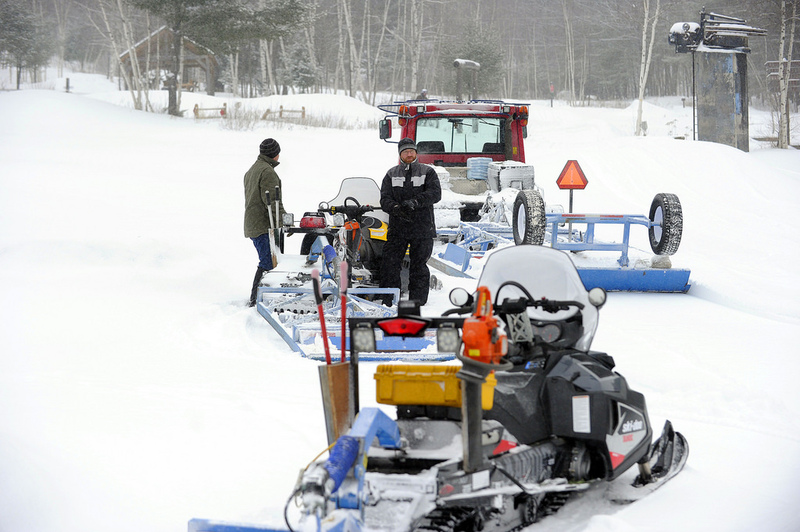 This year promises more terrain and advanced grooming as Highland Trails has invested in specialized fat bike grooming equipment; the trail crew has been shaping lines since the first snowfall! Working in conjunction with neighboring fat bike party starters MTBVT — you may know them from events such as Winterbike and Überwintern — the Highland event will be based largely on the MTBVT formula. 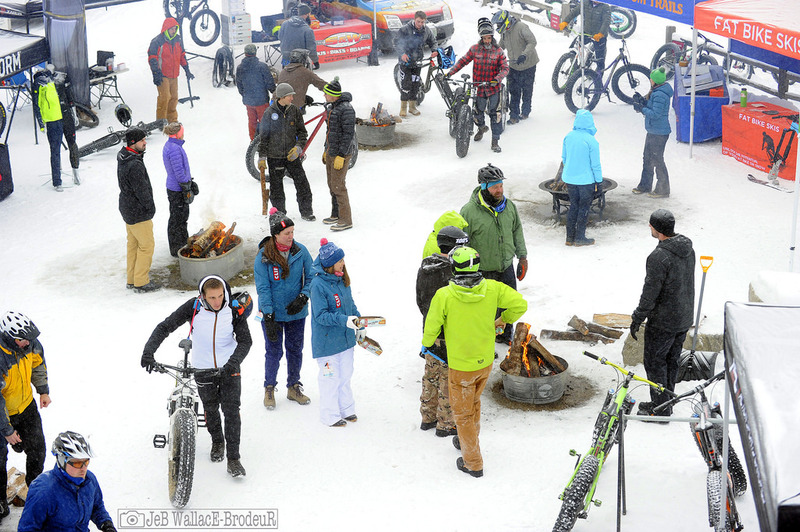 Snow + bikes + bikes + bikes = party! Add in the Highland flavor and you have the world’s best downhill fat bike festival: Downhill laps, group rides/trains, XC and DH demo loops, DH fat bike race, and beer garden in the backyard! 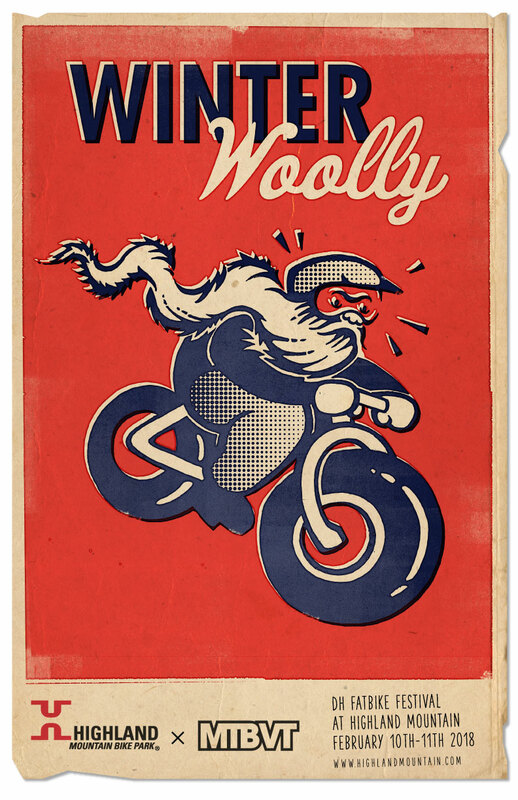 The WINTER WOOLLY DH FAT BIKE RACE is back! Remember the powdery carnage? 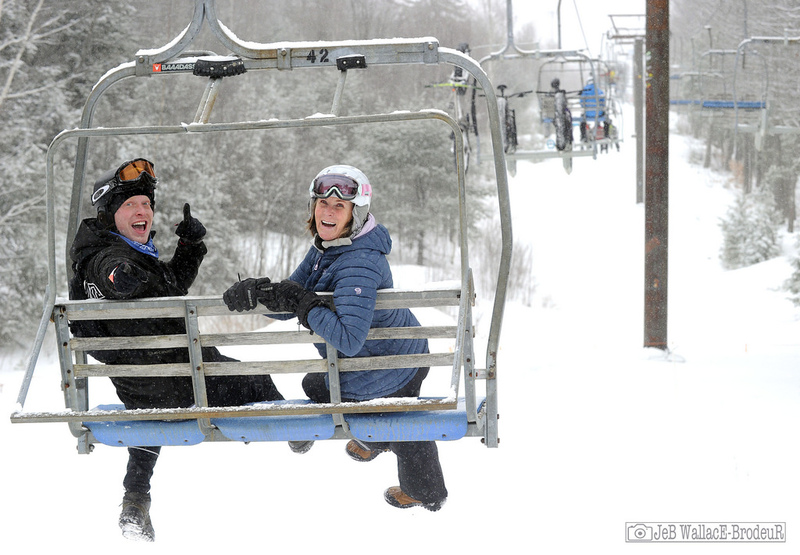 Take on competitors and Ol’ Man Winter again in a multiple top to bottom timed descent for prizes and glory! Not a race type of rider? Multiple trails will be groomed top to bottom for those looking for more leisurely descents as well as a few of XC singletrack trails. The event will include an onsite demo garden, rentals through the bike shop, food at the Highland Pub, beer garden campfires and après entertainment at the lodge. The DH Fat Bike Race is additional $10 with registration. The race will be one open class and based on single run timing. Prizes and glory await the fastest riders in this inaugural event.